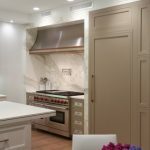 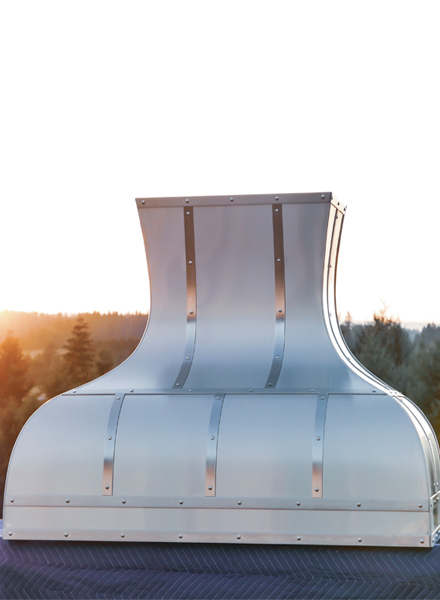 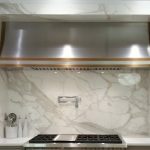 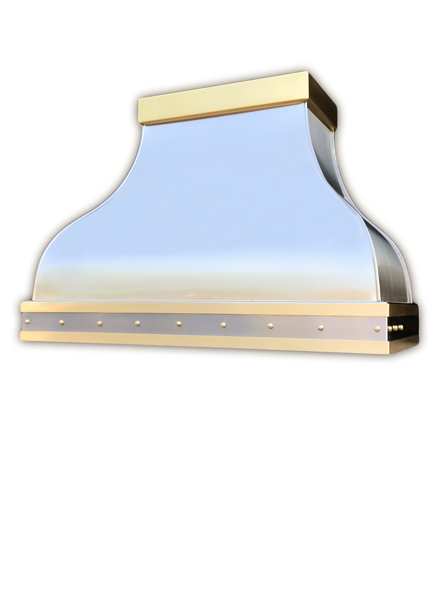 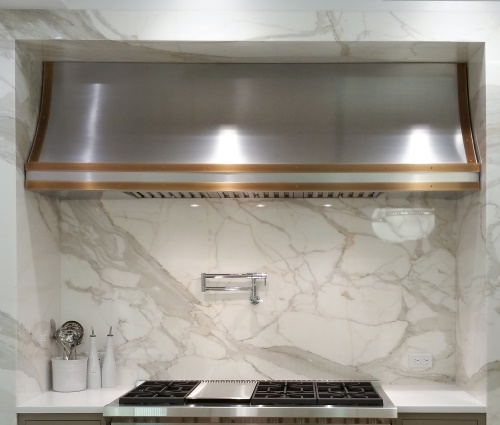 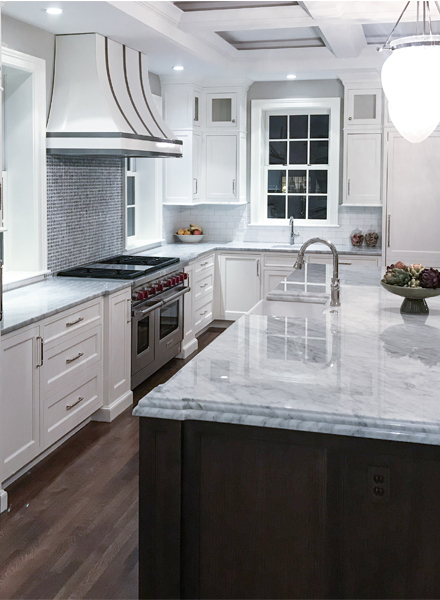 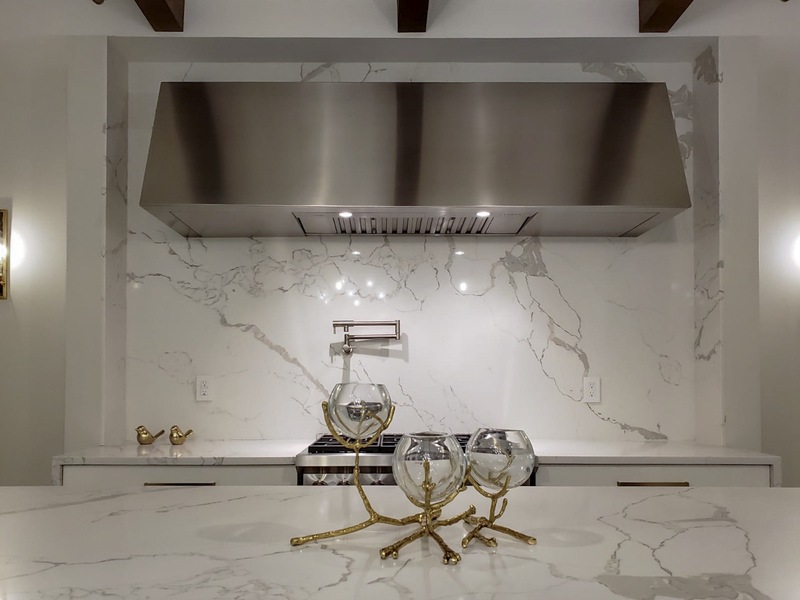 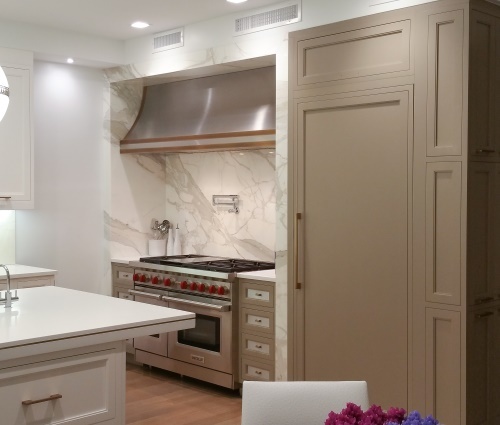 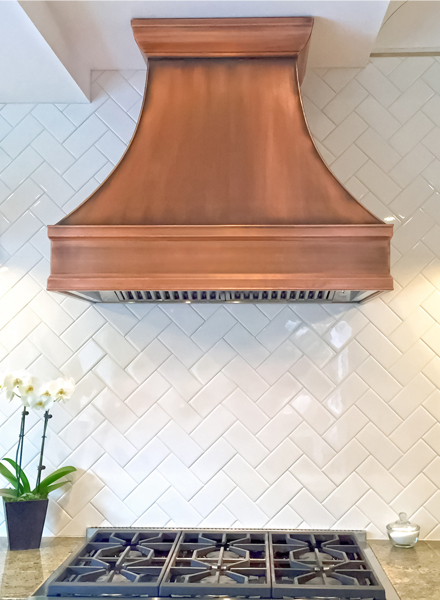 Pearl Range Hood makes an easy transition into a modern or contemporary kitchen. 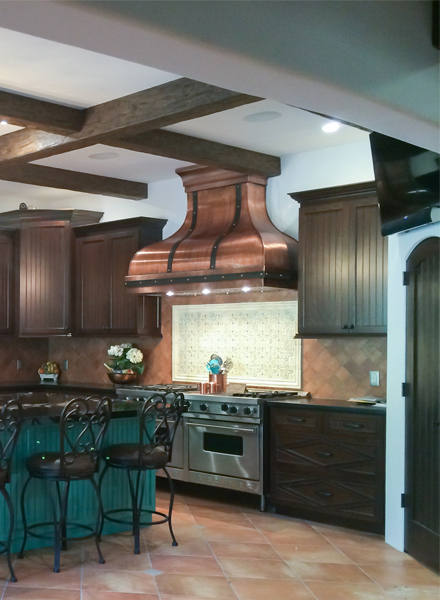 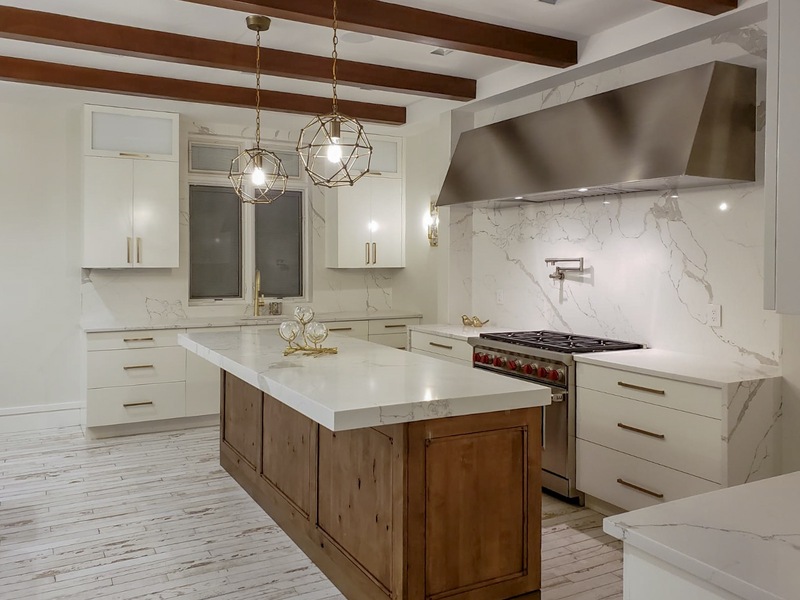 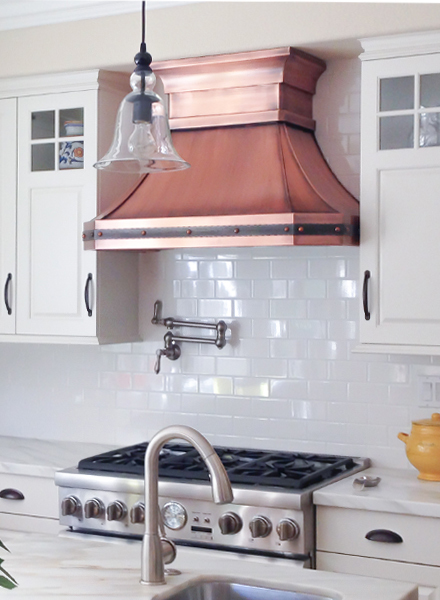 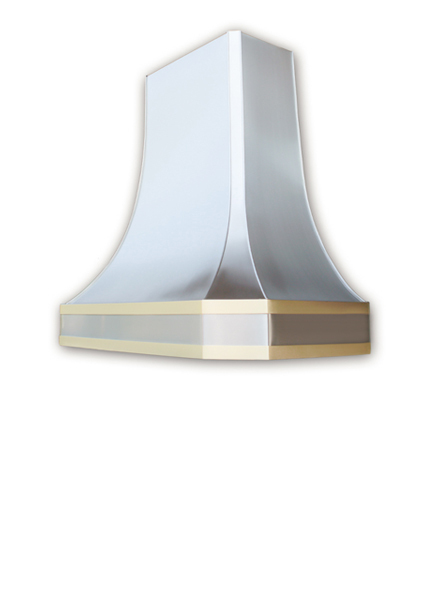 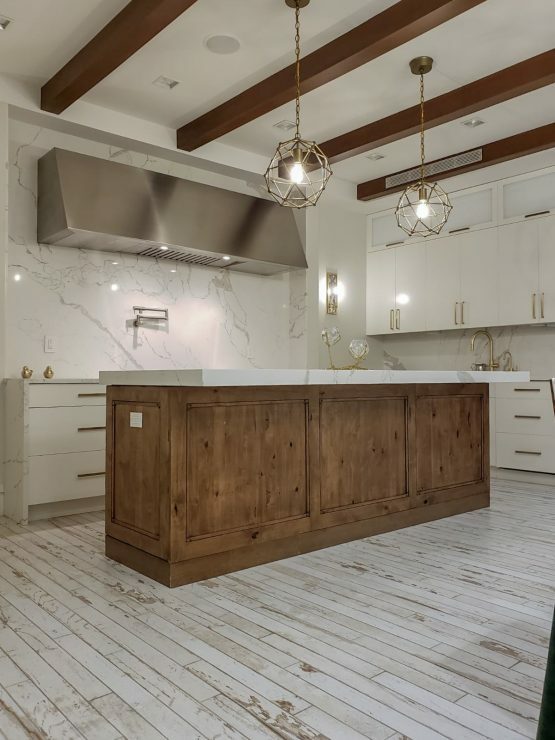 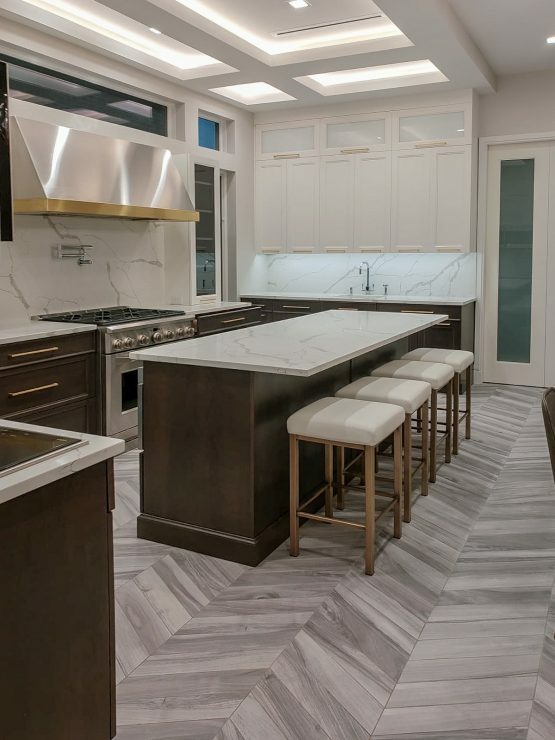 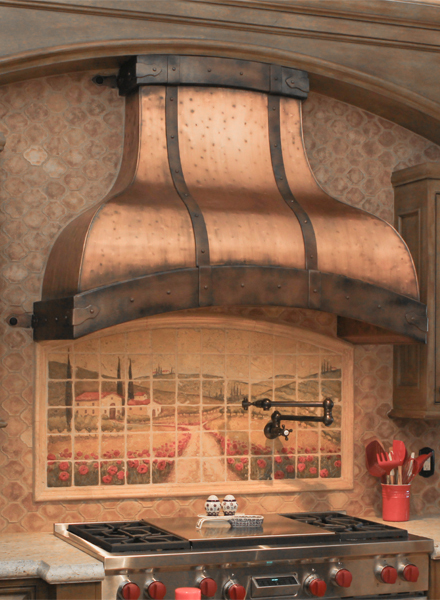 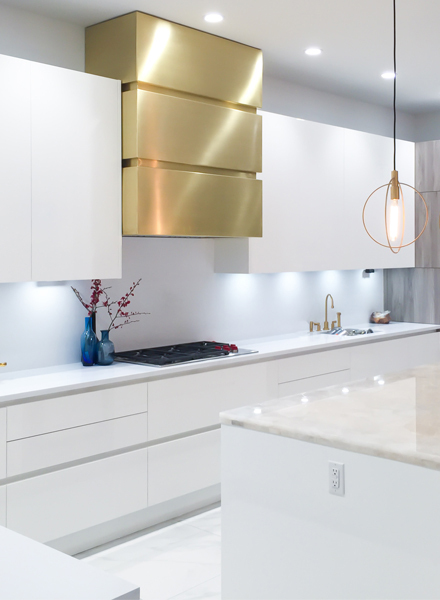 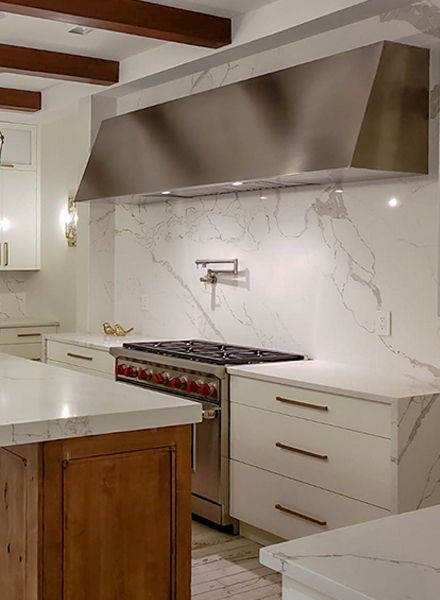 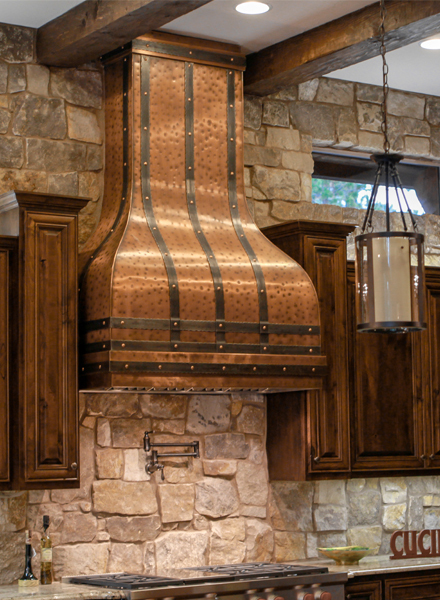 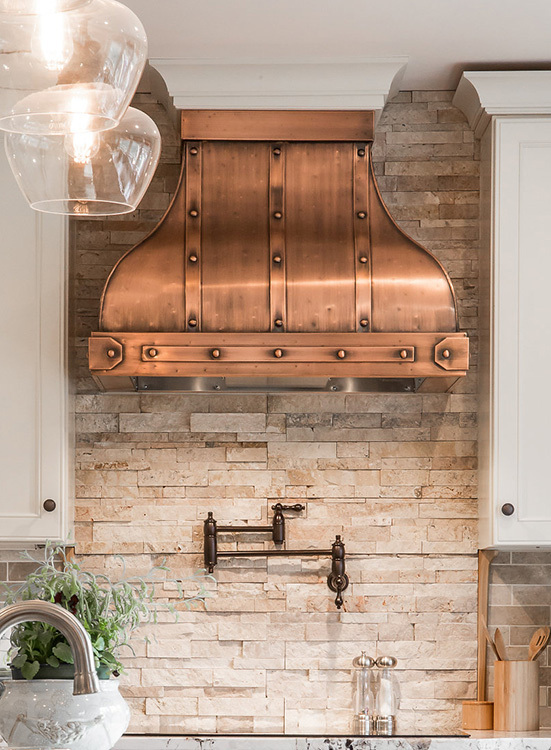 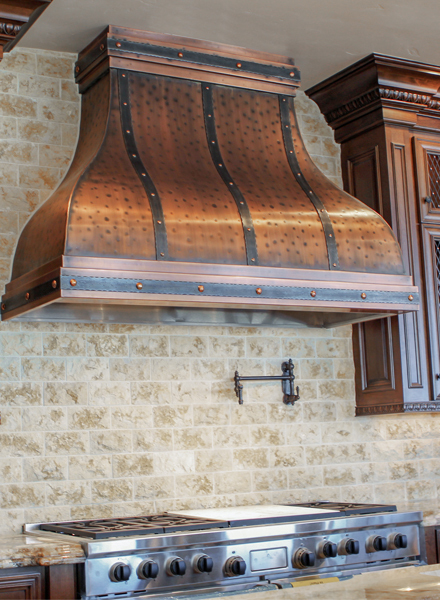 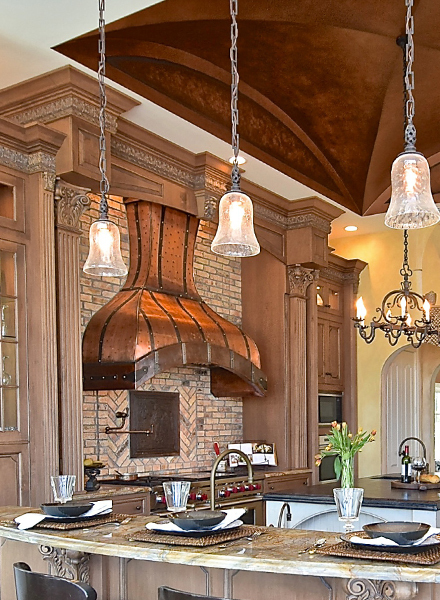 We suggest adding a simple set of accents such as a brass bottom band or strap work to compliment your range hood. 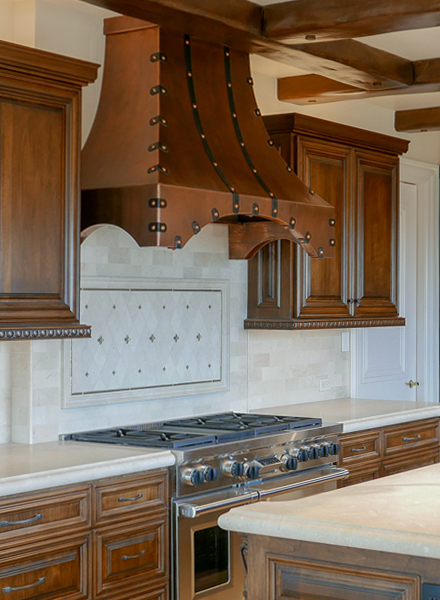 These accents set beautifully on natural stainless body and will give balance and warm tones.